Opening time : 5 AM to 8 PM. Entry fee: Free till 5 AM to 9 AM and evening after 6.00 PM. People around: Quite moderate. Good place to run. Millions dollar questions for the runners around Bangalore where to run, which is good track and many more. 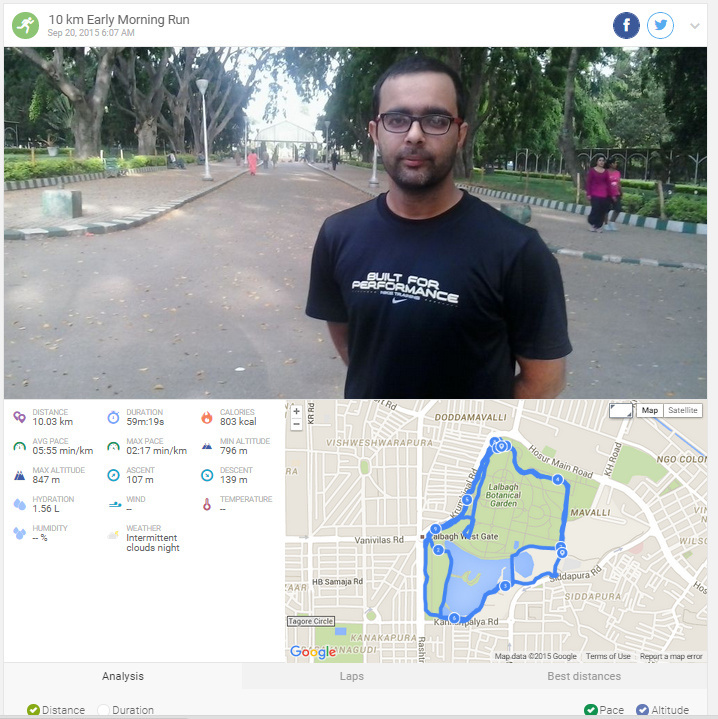 I do run across many places in Bangalore and from my blog, I will try to cover some of the good running place in and around Bangalore. I will add some of the snaps which will show the track condition. 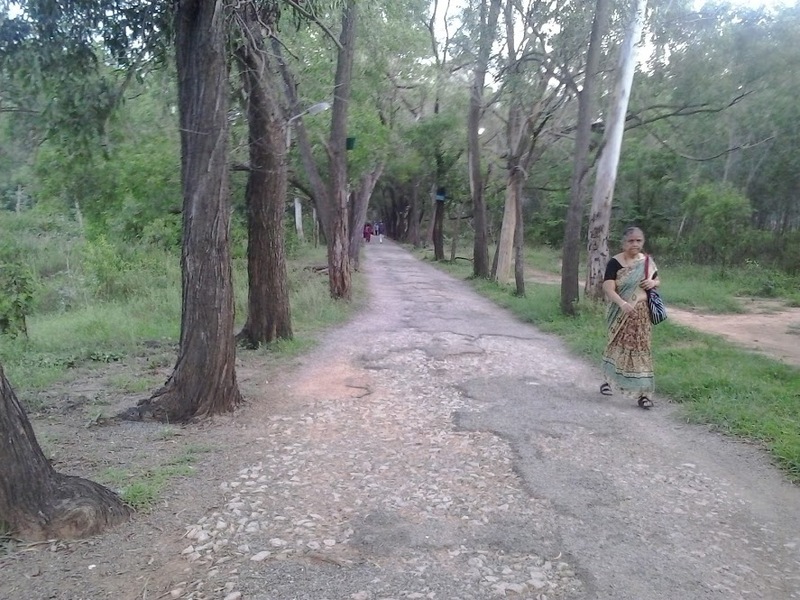 First goes, J P Nagar – Miniforest – This is one of the long stretch in J P Nagar. One complete round comes around 1.5 Km. Opening and Closing time: 5 AM to 8 PM. 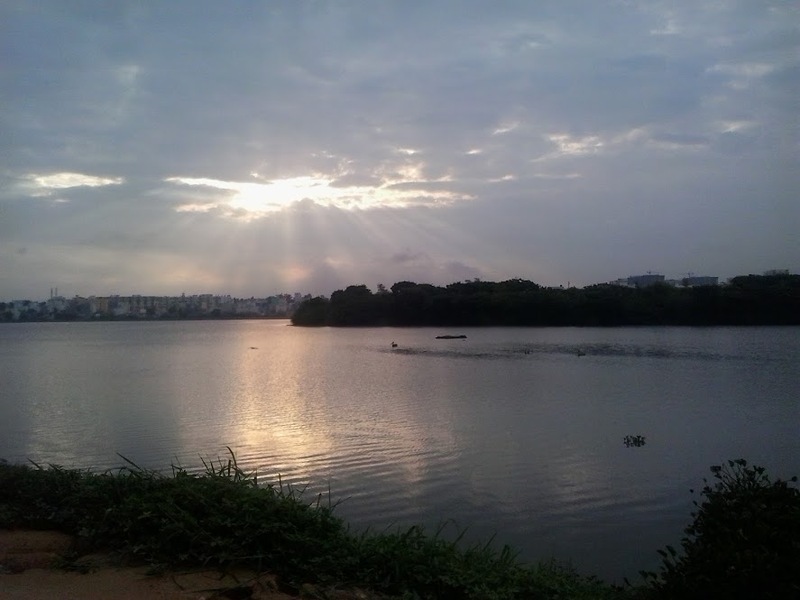 Do drop a comment or a feedback if you are a J P Nagar Runner. 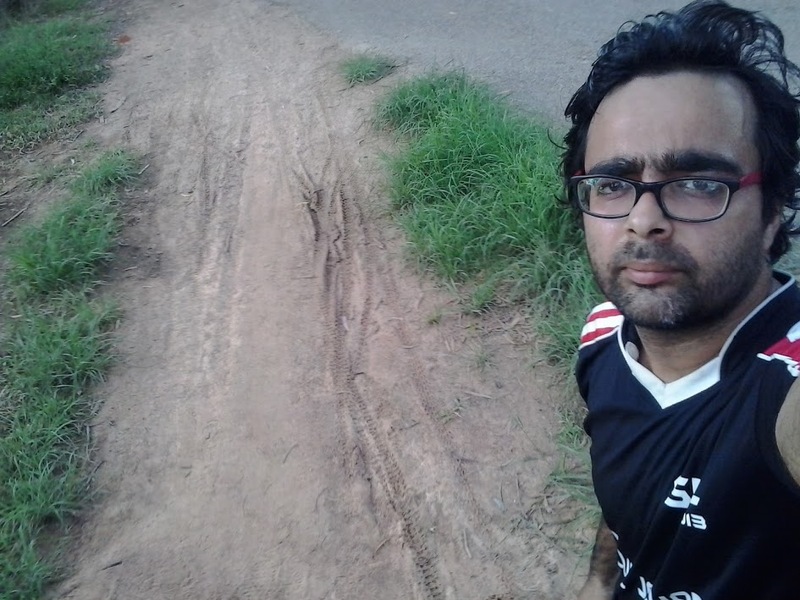 J P Nagar – Mini forest Track – Selfie. If you want to take Mud path.